For kids and big kids alike, The Big Draw Festival 2018 is all about letting loose, embracing happy accidents, discovery, experimentation and most importantly having fun with those HBs! 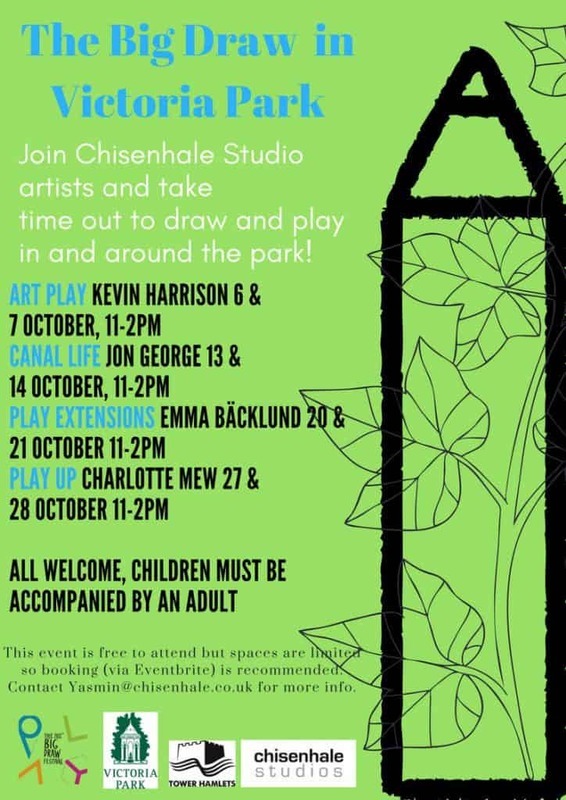 So kick-start your drawing adventure, whether this is your 15th year or your first, join Studio artist in October in and around Victoria Park and get drawing! !